Sekiro: Shadows Die Twice is a game that likely needs no introduction. Any game announcement from the crew at FromSoftware is going to spark interest in fans of the Souls series, but even if that wasn't the case, the Sekiro: Shadows Die Twice trailer shown off at E3 2018 had more than enough meat to capture the attention of action fans in general. Shacknews recently had a chance to speak with Robert Conkey, producer at Activision, at Gamescom 2018 to learn more about the game's combat, weapons, and character progression, particularly when compared to FromSoftware's Souls series of games. "If you've played Dark Souls, you're going to feel some immediate familiarity with how the characters move, how the enemies move, and things like that. But there's going to be a large learning curve. [...] It's funny because a lot of players who are used to those titles have a pretty tough time at first, because there's so many new things to get used to." 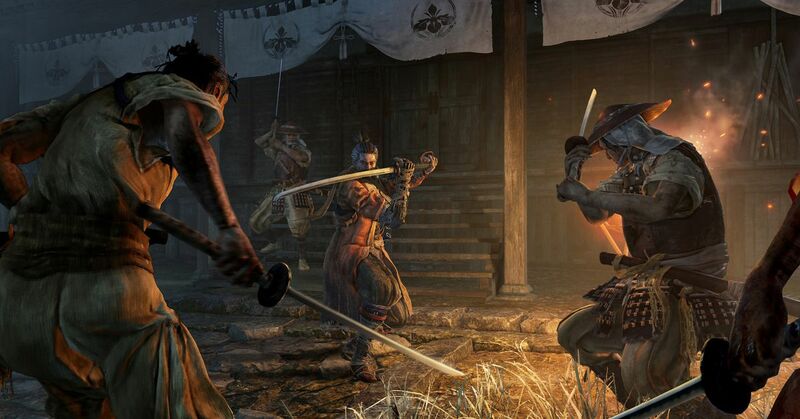 Conkey goes on to discuss some of the moves and abilities featured within Sekiro: Shadows Die Twice, including the loaded axe from the new trailer, a sword that can be lit on fire, and shurikens that serve as ranged attack options. He also discusses some of the game's player progression, saying that it's "more centered around gaining and upgrading your arm tools as well as new abilities for your character." Fans can learn much more about FromSoftware's latest by checking out our extensive Sekiro: Shadows Die Twice hands-on preview. For more hot videos, including inside looks at upcoming games, game convention coverage, and in-depth interviews with the industry's hottest stars, be sure to follow both Shacknews and GamerHub.tv over on YouTube.